Heimlich was the subject of a whole lot of pre-draft discussion around his 2012 guilty plea to molesting his then-six-year-old niece. For all the talk about character concerns and off-field behavior policies, most sports leagues have still often offered chances to those who have gotten in legal trouble, as long as they have compelling on-field talent. 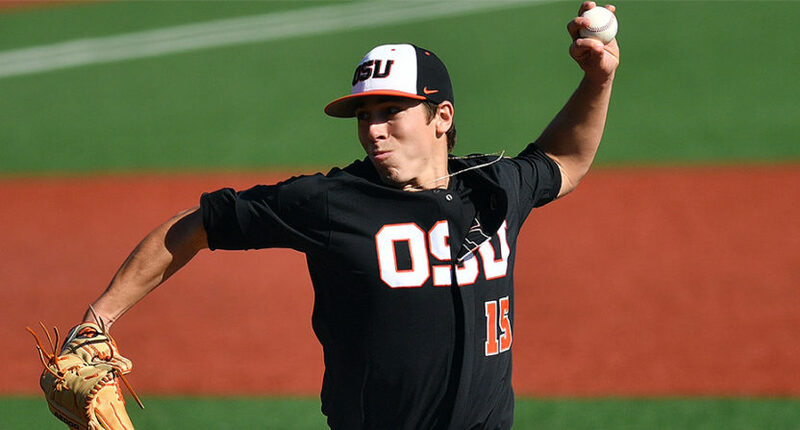 Oregon State pitcher Luke Heimlich certainly has that, being rated as the 44th-best prospect in this year’s MLB Draft by FanGraphs, but he wasn’t chosen this week. (And unlike most of the other names in the top 100 who weren’t selected early, he didn’t turn the draft down to head to college or return to it.) With 40 rounds of the draft and 1,024 players taken, that’s saying something. Heimlich has been under a lot of scrutiny following a 2012 guilty plea on charges that he molested his then-six-year-old niece, which was reported on by The Oregonian in 2017, and has been the subject of features discussing that in outlets from Sports Illustrated to The New York Times to Baseball Prospectus. He has argued that “nothing ever happened,” while the victim’s mother has said “there’s no way he didn’t do it.” The Heimlich case has spurred plenty of debate about if a MLB team should draft him and if so, where. For the moment, at least, it looks like MLB teams have decided picking him, even late, isn’t worth the negative attention it would draw. That doesn’t necessarily mean that Heimlich will never appear in the majors. His team, Oregon State remains in the NCAA Tournament, hosting Minnesota this weekend in the super regionals, and that may give him more chances to impress teams. And he could be signed as a free agent, or he could head to independent ball or to a league in another country. But it’s certainly notable that a player with this kind of talent was repeatedly passed over by all 30 MLB teams, who thought Heimlich wasn’t worth the negatives that would accompany selecting him. That suggests that there are at least some off-field things that teams consider problematic enough to override on-field talent.